Discussion in 'RDA talk' started by cerebral79, Apr 21, 2014. 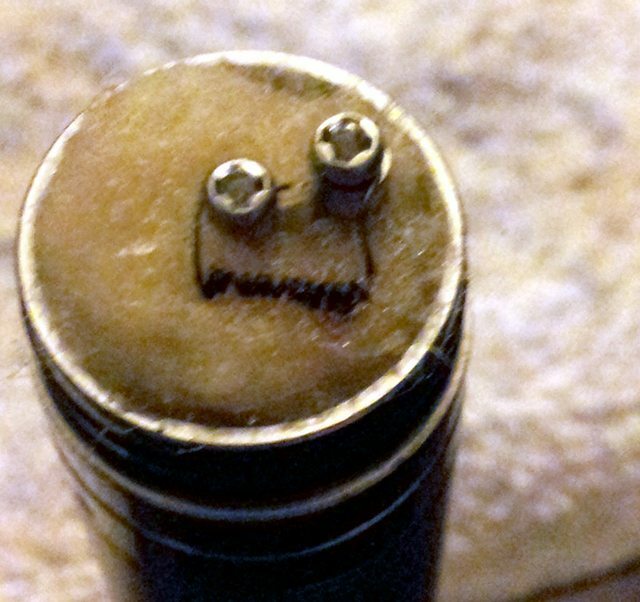 Hi everyone, this forum looked a little lonely so I thought I would write up some thoughts and comments on my experiences so far with sub-ohm vaping. I have been vaping for about 8 or 9 months and over the last few months I have been building my own coils for various RDA (Rebuildable Dripping Atomizers) and Genesis style (they have a tank) rebuildable atomizers. I only got into sub-ohm vaping sort of by mistake. 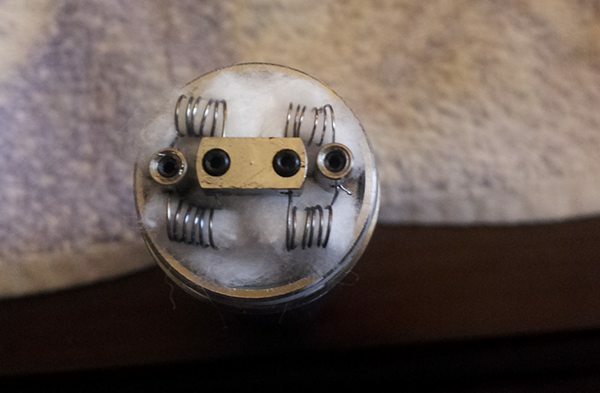 It all started when I decided that I didn't want to have to keep ordering replacement coil heads for my Kanger Pro Tanks and stumbled on to a video that showed how to rebuild them using kanthal wire and cotton balls. I set out to gather the usual tools such as nail clippers, tweezers, small screw drivers, kanthal wire and cotton balls and dug in, working right along side the video. I wanted to end up with a resistance (ohm) that was similar to the 1.5 ohm coils I had been ordering and following the video I came out at 1.8 ohms which was perfect. 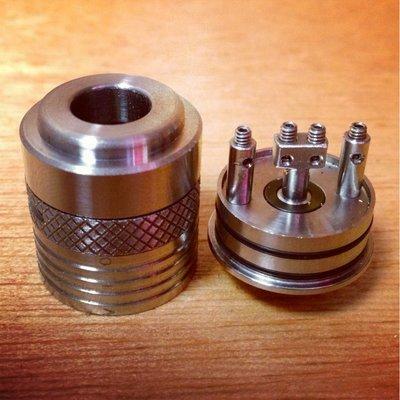 I was doing this to save money and I could save even more money by buying an atomizer that was actually meant to be rebuilt. Previously I had been nervous to get into rebuildable atomizers because I thought it was going to be a huge pain in the rear, But... this whole thing with the Kanger tanks was doing exactly what I would be doing with a true RDA but more difficult because the Kanger coil heads were tiny and it was a real pain to work with them. That's a lot more room to work with compared to the tiny area you have to mount the Kanger coil lol. So where does this "mistake" come in? Well despite using some dual coil heads in my tanks like the kangers and the iClear 30B's, I had no idea how ohms work with dual coils and the RDA i had was meant for dual coils. 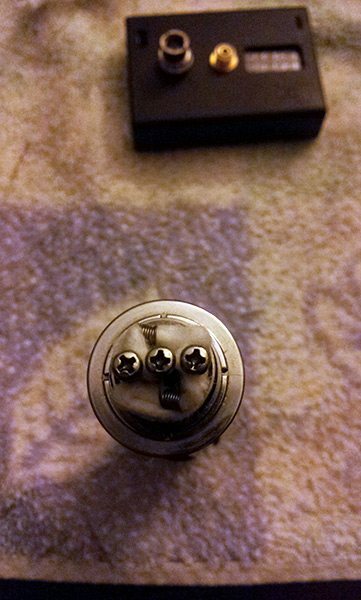 I figured, I will use the same number of wraps for both coils as Rip did in the video above and I will have a 1.8 ohm dual coil.... Wrong! This is why it's important to do your research before getting into this kinda thing. 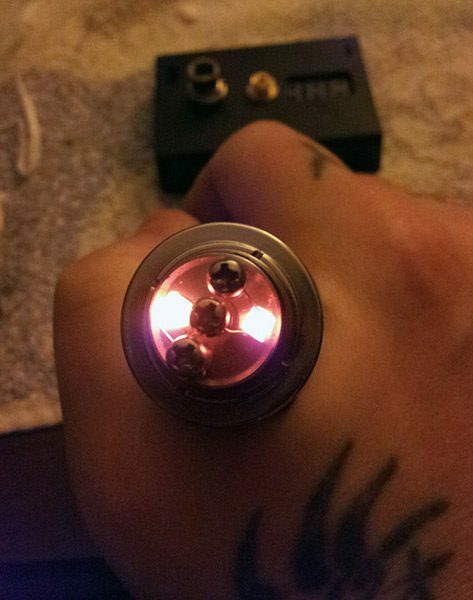 I wrapped my coils, popped it onto my variable volt/watt device which has an ohm meter built in and was shocked to see that the RDA was reading at a total resistance of around 0.9 ohms lol. I had accidentally just turned myself into a sub-ohm vaper and this was before I had the proper information I needed to even think about messing with this stuff. Well I knew I needed to find out what was up with the ohms. It turns out that when you wrap two coils of the same resistance and install them, the final readout will be half of what each one was. 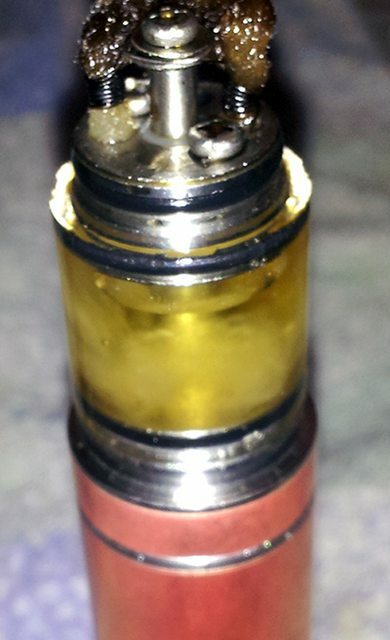 So my 1.8 ohm single coil in my Kanger tank was fine but when you bring in a second coil of that same resistance, bam! Sub-ohm. 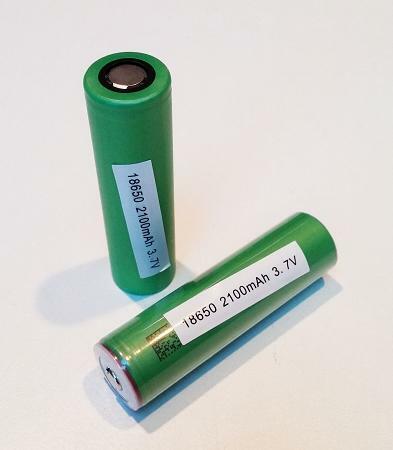 With that question answered, I knew that there were risks concerning battery safety when sub-ohm vaping so my next goal was to educate myself on battery safety in terms of sub-ohm vaping. I found a lot of good information and learned how your resistance, battery voltage, and battery type all tie into the ultimate question of... can my battery even handle this? I would be ok at around what I found to be my "sweet spot" of 0.6 -0.7 ohms. A quick note about the batteries though, I wanted to get the Sony's because they can handle 30amps continuous discharge and are one of the most recommended batteries out there in terms of safety and sub-ohm vaping. There is a VTC5 coming out or is out now (i'm not sure) and there are other brands that are good for this type of vaping or just to have extra protection even if vaping over 1 ohm. Here is a link to a site owned by aYouTuber I watch that shows some of the more popular high drain batteries. Ok so I got my .6-.7 ohm build all set up nice and my new batteries are on the way to give me that extra added sense of protection but what's the whole point of sub-ohming and is it really "all that"? The short answer, at least from my perspective is Yes. Why? Well for me, all my sub-ohm builds are dual coil and with two coils firing (more surface area) and the extra heat that the coils are putting off from the low resistance, I get amazing flavor and (although i'm not a cloud chaser) I get a lot more vapor. You wont catch me going below 0.4 ohms because even with the best batteries, I just don't want to risk my teeth or my house to a runaway battery. So that's about it, all of that to basically say that I am now officially a sub-ohm vaper lol but I thought this might help someone wanting to learn more about it and maybe even try out rebuildables (sub-ohm or not). Here are a few pics of some of my sub-ohm coils. I never heard of sub-ohm vaping so I checked this video out. It looks pretty interesting, but I don't think I'll be giving it a try any time soon. Same I wouldn't be giving it a try, but anyways thanks for sharing. I will google out more about this whole sub-ohm vaping sounds very interesting like Aprax said.